Actual hours may vary greatly, depending on volume of business and special event bookings. Karl’s been with the Owl for roughly 7 years and was promoted to the position of Owl Manager in January 2017. He’s had plenty of work experience in the restaurant, bar, and music industry. A musician and former lead-singer of Misery Signals, Karl’s main rides are a Corvette or a skateboard. Reach out to Karl for questions or comments about the Owl, or if you want to make a table reservation. Tyler is a dessert master who has worked his way up the foodchain at the Owl. Now he helps crank out catering orders while keeping the line on-point. Need our logo? 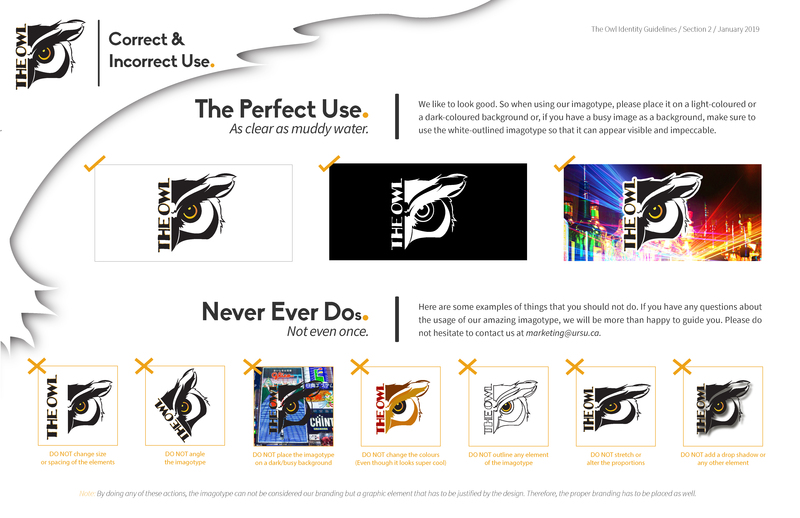 Check out our Style Guide by clicking here for more information including “Dos and Don’ts” for proper usage of our branding.